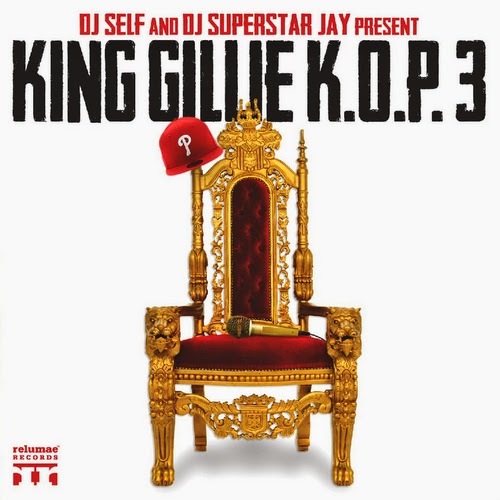 Home » gillie da kid , King of Philly 3 , KOP3 , mixtape , remulae records » Gillie Da Kid "King Of Philly 3"
Always thought Gillie was ill. Check him out on the third installment of his "King of Philly" series. Judging by the logo for Remulae Records I guess it's safe to assume he's on their label now, which was started by NFL Star, Tamba Hali. While working on his new album, Gillie has been busy honing his acting skills and "recently wrapped the new feature film “Force of Execution,” co-starring Steven Seagal and Ving Rhames. Gillie Da Kid also added film producer to his list of titles on the upcoming movie “Brotherly Love” starring himself and Ving Rhames, and is currently negotiating a distribution deal for the film."